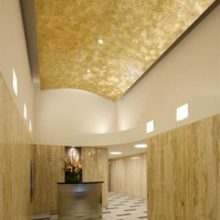 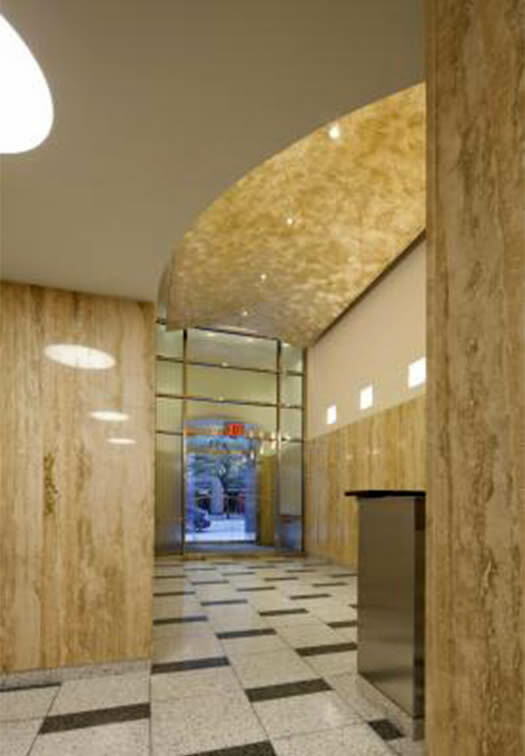 This swirled, textured ceiling in a New York City Lobby was designed for a warm, dynamic aesthetic combination of color and texture. 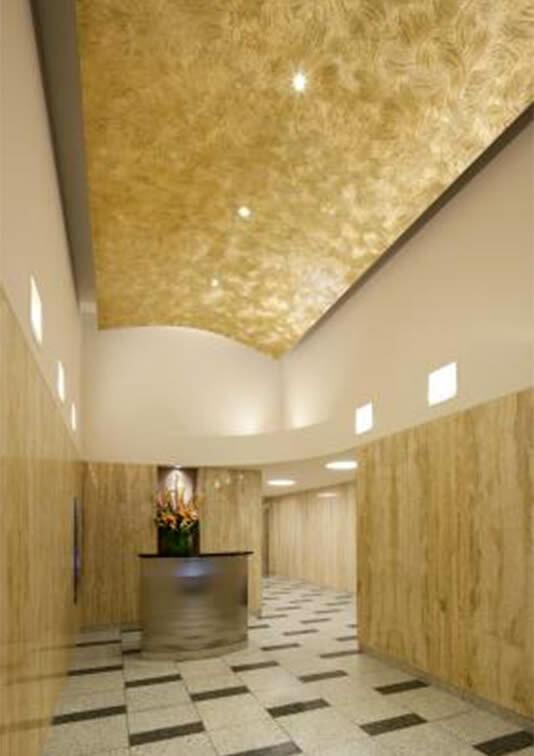 EverGreene artists primed the surface of the ceiling to create a textured pattern in a dark green color, which the client specified they would like to ghost through after the surface was gilded. 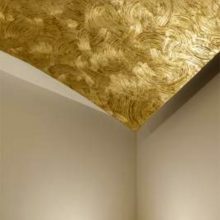 EverGreene artists then created a textured finish with heavy acrylic paint, using massive brushes in a swirled pattern. 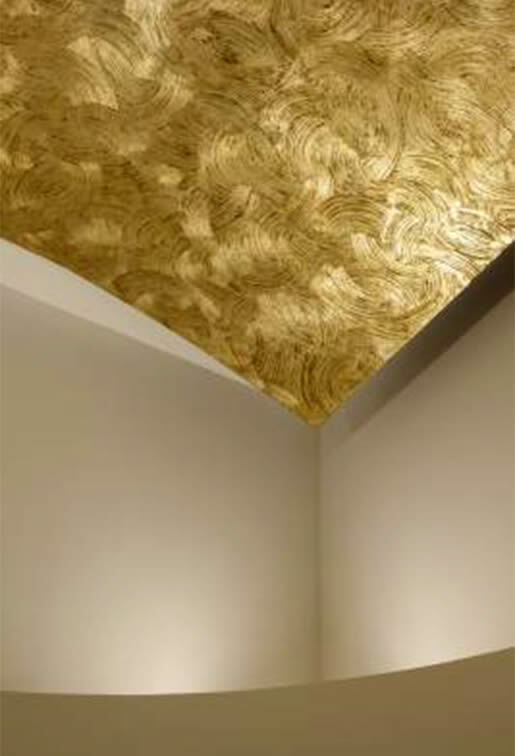 The pattern was then gilded with aluminum leaf. 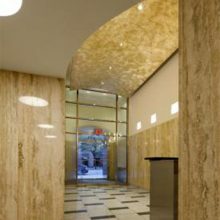 The gilding was then sanded / abraded lightly to reveal the texture and color, and finally, the surface was glazed to match the color of the rest of the lobby.